BOOMSARA claimed the Group 3 Vo Rogue Plate (1350m) at the Brisbane Racing Club in dominant fashion with a display of sustained speed from pillar to post. Despite being forced to do a great deal of work early in the race, the Spirit of Boom 3YO kicked clear for new jockey Damian Browne to win by 4.5 lengths and show he is spot on for the $2 Million Magic Millions 3YO Guineas (1400m) at the Gold Coast on Jan 12. The win took the gelding's prizemoney past the $360,000 mark from three wins and a further three placings from just nine starts. Browne paid tribute to the training efforts of the Munce Racing team after he was forced to work hard at both ends of the race from a wide barrier. "Our intentions were to go forward and I had to do a ton of work to get there but he gave me a good kick on the corner so full credit to Chris and the team," said Browne. 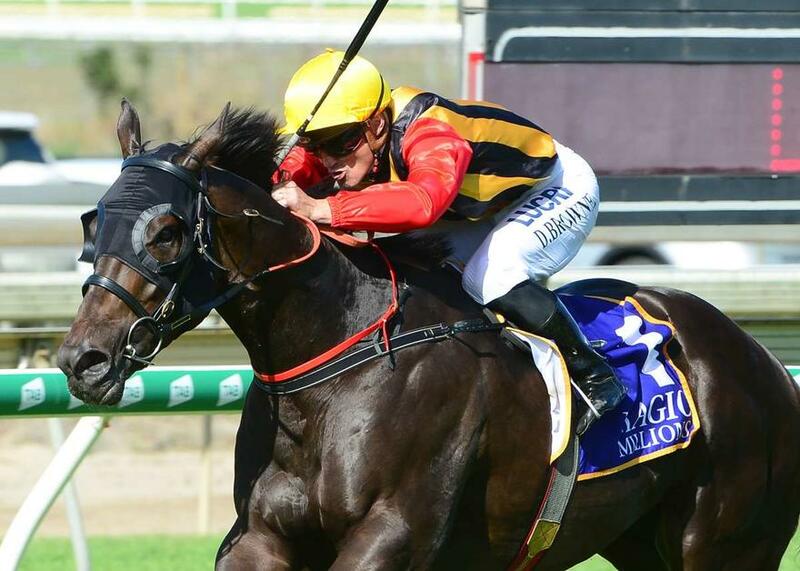 Trainer Chris Munce was proud of his horse's dominant effort and said he had further improvement ahead of the Magic Millions in a fortnight's time. "To sustain that sort of a gallop for the trip and with a month between runs, it's really a credit to the horse and his stamina," he said. "He had spent a lot of petrol but that's the sort of horse he is, he's able to sustain that pressure early and keep galloping through it. "He was pretty close to the mark today but I know I still have a bit left up my sleeve for Magic Millions day so he'll go there a fit and happy horse."